October 02, 2018, 2:00 p.m. When it comes time to go grocery shopping, many Californians are loading up their carts with healthy, organic food and maybe skipping the bread aisle. New data from YouGov Omnibus shows that 40% of California residents say they prefer eating organic, while 26% disagree, and 31% say they have no preference. A similar number (41%) agree with the statement “I probably eat more healthily than most people,” while 27% of Californians disagree, and 30% say they neither agree nor disagree. About one in five (19%) California residents says they try to avoid eating gluten, while 52% disagree. There are some interesting differences when accounting for income. Those making less than $40K annually (37%) were less likely than those making $80K or more (46%) to say they prefer organic food. They were also less likely than affluent Californians to say they eat more healthily than most people - 35% vs 50%. 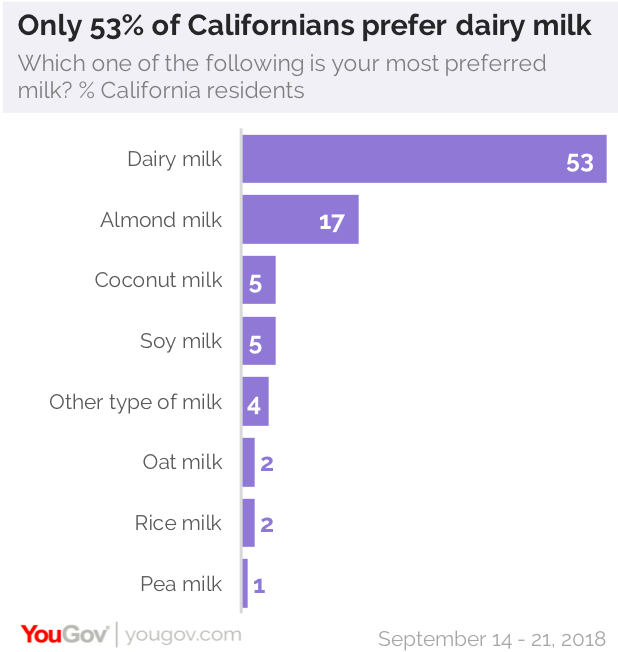 When it comes to milk, many Californians are reaching for non-dairy alternatives like almond milk (21% of California women and 14% of California men say this is their preferred milk), coconut milk (5%), soy milk (5%), and oat milk (2%). A little more than half (53%) of Californians say that dairy milk is still their preferred milk. 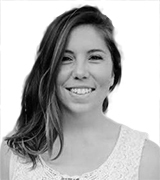 Learn more about YouGov Omnibus and YouGov Plan & Track.